Last month, a television station in Pennsylvania launched “Reporter Corps” – an ambitious initiative aimed at reinventing local TV news. 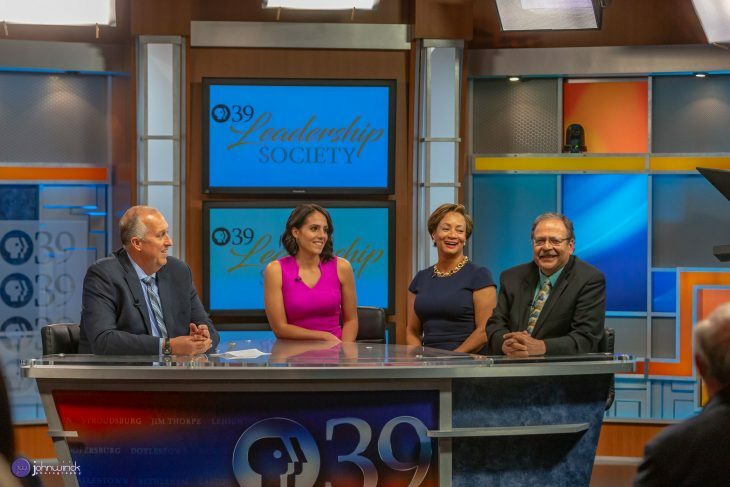 PBS39/WLVT, which is based in Bethlehem, Pa., plans to hire a dozen multi-platform journalists, embedding 10 of them in the 10 counties of the Greater Lehigh Valley – which straddles Pennsylvania and New Jersey – with a mission to produce community-focused news, with the other two positions being a video editor and a managing editor. This team will be producing in-depth news stories for PBS39’s digital platforms that will later be packaged for a nightly newscast launching in mid-September. Storybench sat down with Yoni Greenbaum, chief content officer at PBS39/WLVT/WPPT, to learn more about this mission, what PBS39 hopes to achieve, and what this could mean for local TV news. Could you tell us a little more about “Reporting Corps” and the motivation behind it? PBS39 is a 50-year-old start-up. And while it’s been around for 50 years, it is really starting over. About a year ago, the board of directors made a commitment to local journalism. What we found looking at our core coverage area, which is about 5,200 square miles with 3 million people and 1.1 million households, is that it was increasingly underserved by the commercial news media. Commercial TV stations in Philly cover less and less about the community in the Greater Lehigh Valley. And the newspapers, while they’re trying very hard to do what they do, they don’t have the resources anymore. In thinking about public TV and what we have historically done, we’ve stepped up when other people haven’t been able to. We’ve tried to help the community when others can’t. So, to us it became kind of obvious that when it came to local journalism we need to step up. So, we came up with this concept of the PBS39 Reporting Corps which is essentially the hiring of 12 new journalists, 10 of whom will be embedded in the local communities that we cover. These journalists will not just be covering the community, they will be a part of the community, engaging with the community. We won’t focus on the traffic or weather or sports or crime and accident. I particularly feel that the local news does a good job of telling you who, what, when, where but it really fails on the “why.” We’re going to give you the “why.” That’s the crux of what we’re looking to do. In the press release you stated that this newscast is not intended to cover crime, weather and traffic. Could you tell us how the newscast will be different? I mean look, the typical nightly commercial newscast has on an average 22 stories on a given night. They range in length from 10 seconds to a minute and 30 seconds, typically. We see ourselves doing six to seven stories a night, anywhere between three to five minutes long. So right off the bat you’re going to get more in-depth coverage, the ability to go deeper and engage with that content. The newscast won’t be as fast paced so that allows you to really think about what you’re hearing and absorb it. For example, let’s assume there’s a snowstorm and the schools are going to be closed. By 6:30 p.m. you already know that there was snow, you already know that the schools were closed, that the driving conditions were difficult. We’re not going to tell you that. But what we will tell you is that one of the real challenges created by snow days and when schools are closed is that a lot of kids don’t eat lunch. There are so many kids in our coverage area that get government-subsidized lunch that when schools are closed they don’t eat. Some districts have just started to recognize that. For example, Allentown will send home brown bag lunches for kids so that way they can ensure that they eat food. Other districts are experimenting with a “Meals on Wheels” type of a program whereby they will send volunteers out to deliver food once the weather conditions are compatible. So, it’s the notion of the deeper story. Almost kind of the next day story or a day two story but in the first day. The initiative not only focuses on producing strong community-focused content but on delivering those stories on a digital platform first. Why so? When you’re doing a newscast, especially at 6:30 at night, it’d be foolish to believe that people are keeping their ears closed and their eyes shut till 6:30. News comes at all of us all the time, from a variety of mediums and at a very fast pace nowadays. So, it’s important for these journalists, especially if they are going to become truly members of the community, to be able to publish as they collect that information. They’ll be using our PBS39 social platforms. I think you’ll see journalists sharing their process, sharing what they learn. Sharing pieces as they go along and then bringing it all together later in the day in the pieces that will then appear in the newscast and on platforms like YouTube. But it goes to our first notion that no one is waiting for us to tell them what’s happening. They’re hearing about it, they’re learning about it. They want us to tell them the bigger picture, the deeper story that nobody knows. Is there any specific beat that you’re looking to cover that we don’t see covered enough at present? That’s a very good question. Generally, we’re looking at more geographic [stories] and I think in our phase two, we will then start to consider more topical pieces. The 10 core reporters are going to be covering the issues raised within the geographies that they own. In phase two, which may not be for another year, I think then you will see us get into investigative reporting, get an environment reporter on board and go deeper on those levels. Could you shed light on the timeline of this project? We are actively hiring now. We expect to have all our team in place by the beginning of July. Our first newscast will hit the air on September 17, Monday night. We see this as a long-term commitment. We as organizations are committed to this for at least for next three years. Right now, the organization is financing this entirely on its own and we’re hoping to attract some grants as well as some donor underwriting support. I think once we make some progress on that, I wouldn’t be surprised if phase two starts to happen sometime around in late 2019, early 2020 where we can have an investigative reporter come on board. How do you plan on gauging the success of this initiative and generating revenue from it? Without getting into the particulars, this is a seven-figure project. For us success would be engagement and I really think it’s the engagement – the impact we’re having as an organization on our community. If our reporters are touching the community, if we’re becoming a part of the fabric of the community, part of the dialogue within the community, to us that will be success. I think that type of success will then drive donor support, grant support and I think that’s the kind of model we’re looking at. We’d like to get news and ratings, of course, we’d like to get a Neilson rating point but I think for us the true success is not paid views, it’s not Neilson, it’s not unique visitors, it’s not clicks, it really is engagement. Are we reflecting the community? 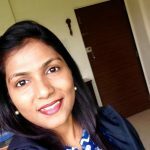 Are we a part of the fabric, the dialogue in the community? Are we making a difference? Those trends, and the mission driven pieces that will be success for us. What is it that PBS39/ WLVT hopes to achieve? As far as we know the last time a public TV station launched a news program the year began with number 19. It’s been a very long time. We’re hoping to develop a successful model that can be replicated by other public TV stations, public radio stations and nonprofit newspapers across the country. Local journalism needs a viable future. This is an all-hands-on-deck kind of a moment for local journalism. There are some exciting experiments happening in newspapers. I think there needs to be some experimenting in nonprofit TV. We’re hoping that we’ll be seen as one of those and hopefully we’ll be a successful example that can be then replicated across the country, building vibrant local news communities all over the country. Does the initiative aim at attracting younger audiences to local TV news? I think by putting the show on at 9 o’clock in the night, as we’d be doing, by doing it more issue-focused, solution-focused, making it higher value, I think we have a good shot at drawing a younger audience. I’m encouraged by some of the earlier figures that I’ve seen about Vice News and HBO and some of the success that they’re having and I think that model can also work for local news. So, we’re excited about that. Cover image: (from left) PBS39’s Jim Deegan, Tracy Yatsko, Monica Evans, and Grover Silcox. Credit: PBS39.